CAN SOMEONE PLEASE STOP ROBERT MUGABE? 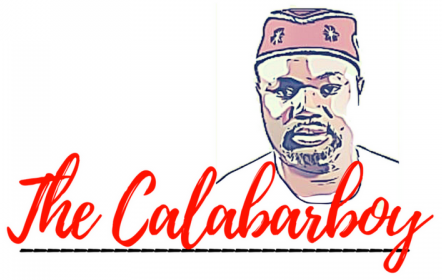 | Thoughts of a Calabarboy. CAN SOMEONE PLEASE STOP ROBERT MUGABE? – Thoughts of a Calabarboy. I am one of those who think the West has actually demonized Robert Mugabe. As one of Africa’s renown freedom fighters and opposer of colonial exploitation, I had his fury etched on my breastplate and registered with the fathers of the liberation movement. Whether we like it or not Mugabe will continue to remain in the hall of fame of those who gave Africa a voice when it was mostly oppressed. But you know, if you don’t leave the stage when the ovation is loudest, you end up dancing to a strange song and the people cannot figure out the rhythm. Now our man is misbehaving so badly that he acts like a badly brought up child. In the face of blatant truth, this man is hijacking an entire nation for his personal agenda, while unwriting the beautiful history of The Struggle. Now a whole country is stranded because of a blind ambition and an evil desire that impoverishes his people the more. Zimbabwe which once was a hub for the food industry is now begging for food. A land blessed with so much natural resource and human resource, is now wriggling in the wallows of a stifled hope and a bleak future. Who will deliver the nation from this man? Who will set free again a people that have enjoyed liberty and tasted of the satisfying wine of self reliance? 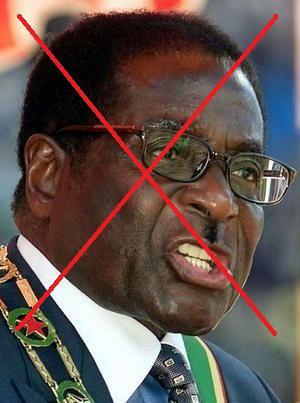 I put it to you Robert Mugabe that you are a disgrace to the African personhood. You have lost your sense of value for the humans you claim to lead and you are blinded by you obsolete thoughts. I have now come to the point where I am courting a military intervention in Zimbabwe to forestall a human catastrophe. If the CIA could assassinate Patrice Lumumba those days, then technology has made it even easier to, as we say in Nigeria, ‘kpafucate’ this man before the entire nation is plunged into the 16th century. All other African governments must prevail on him to step down and vanish from that country. Although Zimbabwe is a sovereign nation, what is this political concept in the face of a decimated population? Throw away sovereignty please and save lives at what ever expense. Please can someone stop Robert Mugabe before he stops time in Zimbabwe?